Since the 1990s, the U.S.has consistently prioritized its relationship with China over selling F-16s or F-35s to Taiwan. Kent Wang, in an article for The Diplomat, argues that the U.S. should sell F-35 fighters to Taiwan. Wang writes that Taiwan’s air defense capabilities are slipping, and that the possibility of China purchasing Su-35s from Russia makes it even more necessary for the U.S. to provide advanced fighters to Taiwan. This strain of thought, based on military calculations, certainly exists (and has long existed) within the Pentagon. However, the possibility of such a sale happening is very, very small. No president since George H.W. Bush has approved the sale of advanced fighter jets to Taiwan, and even that approval came under very specific circumstances. When Bush approved the sale of 150 F-16 A/B fighters to Taiwan, it was almost entirely a ploy to increase his domestic approval ratings ahead of the 1992 presidential election. Bush had faced severe criticism over his handling of U.S.-China relations in the aftermath of the Tiananmen Square violence in 1989. Selling advanced fighters to Taiwan was a way of contradicting Bill Clinton’s accusations that Bush was coddling “the butchers of Beijing.” Further, as James Mann argued in his book About Face, the sale of F-16 A/B fighters was also immensely profitable for General Dynamics (the F-16 manufacturer), and created nearly 6,000 new jobs during an economic downturn. In other words, the last sale of U.S. fighters to Taiwan was dictated by a unique confluence of U.S. domestic politics — a scenario unlikely to be repeated. It’s not a coincidence that the U.S. hasn’t sold fighters to Taiwan in over 20 years. Instead, presidents have opted for less controversial measures, such as the 2011 agreement to upgrade Taiwan’s existing fleet of F-16 A/B fighters. Taiwan’s military has decried this as inadequate — arguing, for example, that the program will not address the root problem of declining fleet numbers — but their complaints are never enough to sway the U.S. government. Neither is congressional pressure, which also remains a consistent voice in favor of selling fighters to Taiwan. In 2011, Senator Robert Menendez (Chairman of Senate Taiwan Caucus) and 45 other senators wrote a letter urging Obama to expedite the sale of F-16 C/D aircraft to Taiwan. A few months later, the Obama administration disregarded this advice and chose (yet again) not to approve such a sale. 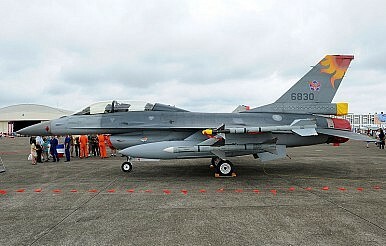 Taiwan’s official request for F-16 C/D aircraft has now been pending for nearly eight years. Like it or not, China remains an essential part of the United States’ calculus when it comes to arms sales to Taiwan. Beijing has made it clear, time and time again, that this single issue has the most potential to disrupt the U.S.-China relationship. A major policy paper written in 2012 by Cui Tiankai (now the Chinese Ambassador to the U.S.) and Pang Hanzhao called Taiwan “the most important and most sensitive issue in the [sic] China-US relations.” Xi Jinping himself reportedly asked the U.S. to cease arms sales to Taiwan during his informal summit with Barack Obama in June 2013. Ever since Nixon made his overtures to China in the early 1970s, the U.S. has played a balancing act, trying to keep its defense commitments to Taiwan while not scuttling U.S.-China relations. History is full of examples of this tight-rope walk. The announcement of the normalization of U.S.-PRC relations in 1979 was closely followed by the passage of the 1979 Taiwan Relations Act, which promised (among other things) “to provide Taiwan with arms of a defensive character.” Under President Ronald Reagan, the U.S. issued the 1982 joint communique with China, which famously promised that U.S. arms sale to Taiwan “will not exceed, either in qualitative or in quantitative terms, the level of those supplied in recent years since the establishment of diplomatic relations.” The same year, however, the U.S. government also offered the “six assurances” to Taiwan, promising that the U.S. would not set a date for ending arms sales to Taiwan and would not consult with China prior to making decisions about arms sales. Each pair of diplomatic decisions seems contradictory, but for better or worse this was the U.S.’s way of maintaining a balance between Taiwan and China. There is no reason to think the U.S. government is ready to depart from this policy by selling F-35s to Taiwan. Even in the mid-1990s, President Clinton (who came to office partly on an anti-China platform) avoided selling fighters to Taiwan — and at that time, China was far less important to the U.S., both politically and economically, than it is now. To be clear, the U.S. will not “abandon” Taiwan, and will in fact continue to agree to arms sales. According to a Congressional Research Service report, since 2000, the U.S. has sold Taiwan AAV7A1 amphibious assault vehicles, Kidd-class destroyers, P-3C anti-submarine warfare aircraft, Patriot missiles, and Apache and Black Hawk helicopters — almost everything except fighters. Predictably, each of these sales caused negative Chinese reactions (including, for example, Beijing cutting off U.S.-China military-to-military relations in 2010). However, the U.S. government has also been able to mitigate the damage by pointing to items it did not sell to Taiwan. In 2011, General Chen Bingde (then Chief of the General Staff of the PLA) stated that future U.S. arms sales to Taiwan would definitely impact U.S.-China relations, but the extent of the damage “would depend on the nature of the weapons sold to Taiwan.” Fighter jets have long been on the list of items that would provoke the fiercest response from China, and the U.S. has avoided crossing that line. Arms sales to Taiwan have a symbolic function along with any practical defense uses. Such sales are concrete examples of U.S. support for the island. However, the sales are also deeply symbolic for China, which takes each sale as a sign that the U.S. seeks to contain China and has no respect for China’s “core interests.” Fighter jets are especially imbued with this symbolism, which is why it’s been over 20 years since the U.S. offered any to Taiwan. If F-35s were sold to Taiwan, it would mean a complete shift in U.S. China policy. Such an action would undoubtedly be read on both sides of the Pacific as demonstrating not only a new level of support for Taiwan but also a new level of enmity with China.